The title is not really an accurate analogy but that’s the way most patients think about their body; like a car. When you touch and move your body does it FEEL like a metal, rubber, and plastic car? No. You are not made of metal, rubber, and plastic. Do you run on gasoline? No, You run on blood and air that is fed by Qi, food, and water. Your body is squishy, like soil, clay, or grass, your bones feel like tree branches and the air in your lungs and in your blood is the same air breathed by the trees and the squirrels. Your blood is mostly water. Our bodies are more like the earth because that’s where we’ve come from. 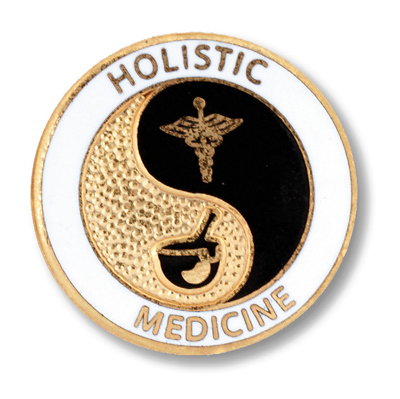 Thus, that is the medicine I practice; earth medicine. It makes sense and is in affinity with the body. I just ran a FB ad for my practice noting that deep tissue therapy and manual therapy release endogenous opioids naturally in the blood. I’ve blogged on this issue a couple times now. Here is a comment someone left on the ad. A muscle or muscles out of alignment, contracted or shortened and grabbing on like holy hell to the nerve root of cutting off blood flow to the nerve or the joint so that the nerve or joint cannot function or flow properly. Injury to the soft tissue in an accident that has not been corrected by a return of blood flow. EVERY SINGLE TISSUE IN YOUR BODY CAN HEAL AND COME INTO ALIGNMENT WITH THE HELP OF MOVEMENT OF BLOOD, or ENERGY WORK WITH THE HANDS, OR IF IT’S TORN, SURGERY. Every situation is different with each patient. In advanced medical massage, we are trained to read MRI and X-ray reports so that we can decide whether our treatment can help with the problem. If there has already been too much damage done by the allopathic corrective methods as opposed to the injury, we usually won’t take the case; meaning the doctors already did more harm to you that we would have holistically with our hands if you had seen us first. If you sustained an injury in the course of naturally having to interact with our severe civilization full of cement, metal, cars, roads, chemicals, wall and bridges, guns and banks and your body crashed into one of these things like a soldier in a war zone, which we sort of are, it’s possible they had to sew you back together. It depends on how bad the injury was. Many times, it’s not as bad as they’ve diagnosed and you should always get a second opinion. However, in this case, the patient is obviously still walking and functioning while taking opioids. If she had a serious spinal injury she would not be able to move or walk. Any serious spinal injury stops the flow of nerve fluid to the rest of the body. Doctors focus on the spine, bones, and nerves all the time and completely overlook the muscle and soft tissue right next to the bone that shortens and cause tremendous pain because they don’t know how to use their hands to correct it or diagnose it. Unless it’s torn, they won’t do anything when most of the time, that soft tissue IS the problem. It’s likely they can’t “see” the soft tissue injury with their technology. I can, in 30 seconds with my hands. It is far more likely that the muscle, ligament, and tendon next to the spine is injured. It’s possible that a bit of the spinal cord is compromised but that could be treatable depending on the situation. I’d have to read the report. It wouldn’t hurt for a practitioner to examine the soft tissue next to the injury, because once the blood flow is increased to the spine, it can heal. If you take opioids for the rest of your life it will destroy your kidney and liver and you’ll die. It’s not an option to stay on them. Every tissue in the body can heal given enough blood flow and blood that is not full of toxic chemicals because of what you’re eating and drinking.